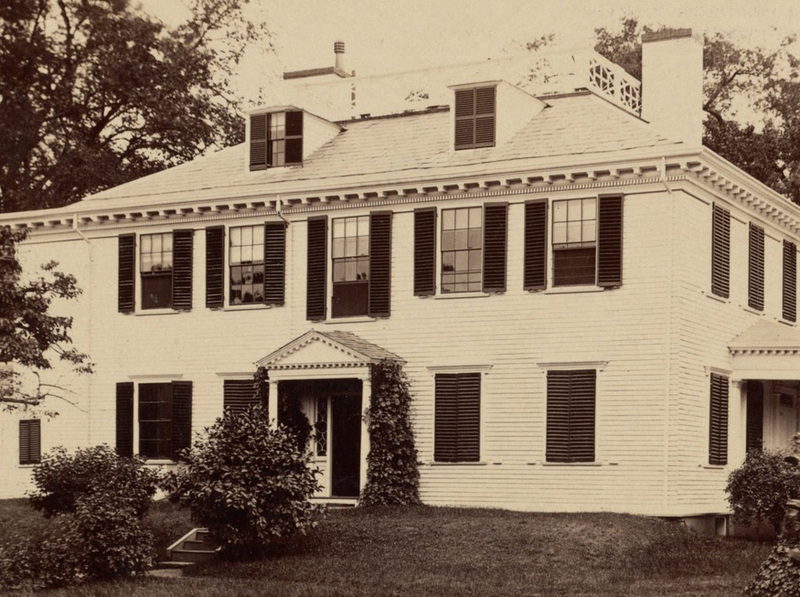 The history of the Loring-Greenough House begins in 1760 when Joshua Loring, a commodore in the English Colonial naval forces constructed the large four-square frame residence in the historic center of Jamaica Plain. An outstanding example of Georgian Colonial architecture, the House was the hub of a large and actively developed farm that was Loring’s chief interest following his retirement from military service. His life as a distinguished member of the Colonial gentry came to an abrupt end with the bitter factionalism of the incipient Revolution. He fled the House in August 1774, for the greater security of Boston. He and his family permanently left Boston for England, in 1776. Essentially confiscated by local authorities as Tory property, the House, its out buildings and acreage saw an unsettled and unsettling variety of uses. In 1775 and 1776, the House or one of the out buildings served as a bakery for a large contingent of Colonial forces. 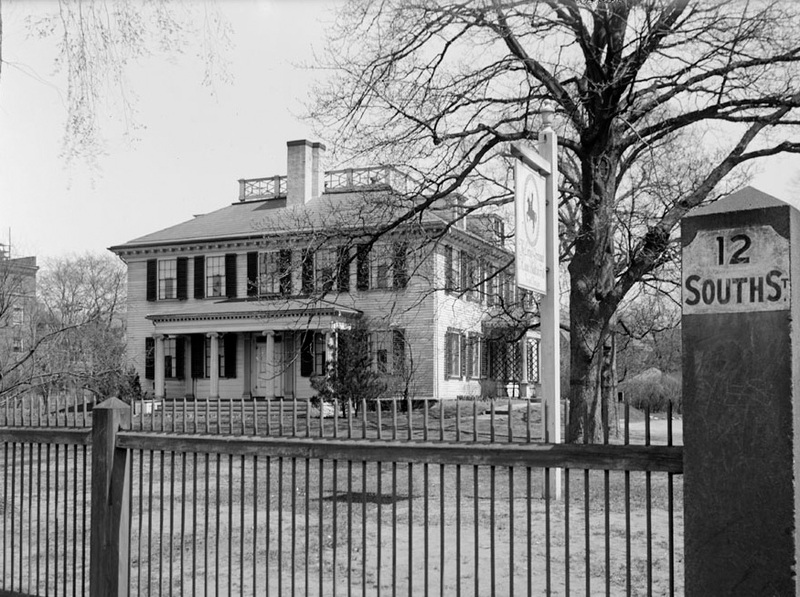 At the time of the Battle of Bunker Hill, the House itself became a military hospital. This has earned the House the distinction of being the only surviving such facility in the Boston area. 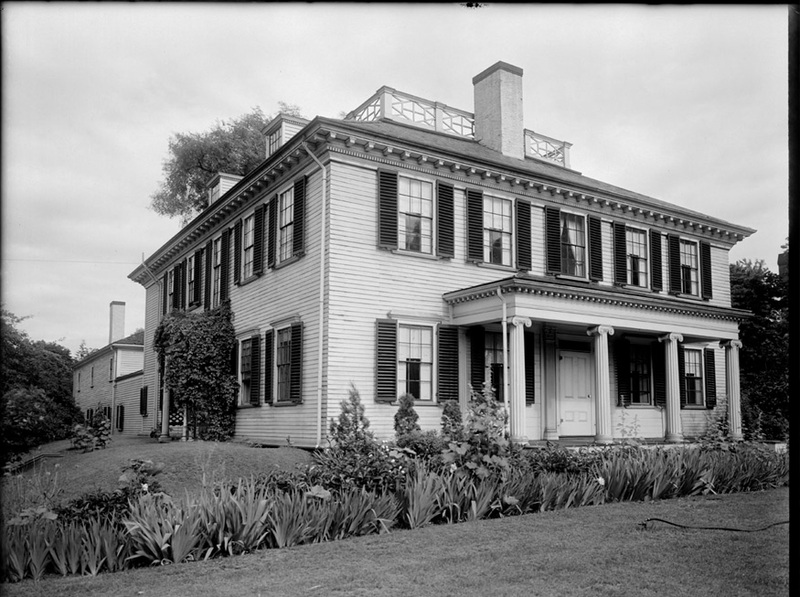 Short term owners followed one upon another until 1784, when the property was purchased by Anne Doane, who one month later married David Stoddard Greenough and then occupied the House. Four generations of their descendants lived in the House until 1924, when the House and the small surviving plot of land on which it stands was purchased by the Jamaica Plain Tuesday Club, who saved it from demolition. In the 140 years of Greenough occupancy, the House naturally underwent changes, some small, some quite significant. Its checkered history during the Revolution set a pattern of change; a slow, organic process of alteration, improvement, removal, and reinvention. In 1811, the long wing or “ell” to the east of the House was added. It accommodated a laundry and drying room, space for three carriages, as well as sundry living and storage spaces in its upper story. At about the same time, the elegant Federal style doorway was introduced into the North elevation (facing Centre Street), replacing an earlier door that was moved to the center of the West façade. Early in the nineteenth century, all the robust Georgian window sashes were replaced by those with elegant slender muntins, again conforming to the new Federal-style taste. Exterior shutters were added. At some point, most likely in the late eighteenth century, the House lost its solemn brownstone paint scheme in favor of a lighter and more cheerful tint. Somewhere along in the second quarter of the nineteenth century, Greek revival elements began to appear. These included a number of mantels and fireplace surrounds, notably those in the Dining Room and South East Room, where the brilliant faux-marble painted walls are very likely an innovation of the same period. On the west front, the Greenoughs added a broad porch of ionic columns, a hospitable space whose gracefulness tempered the massive dignity of the House itself, until its removal in the 1950’s. Another spate of changes and improvements occurred around 1900. For the first time, the House received indoor plumbing, in the form of the charming Edwardian period bathroom on the second floor. The adjacent Northeast bedroom was enlarged, while on the first floor, several rooms received new hardwood floors with ornamental parquetry, and the Greek revival mantel in the Southeast Room was enriched with Arts and Crafts tiles. The kitchen, where the gigantic original fireplace is still largely visible, was brought up to date with a handsome, state-of-the-art, cast iron oven and stove. Throughout this long period, the grounds must surely have reflected the changing styles of taste and the owners’ preferences. However, little of those earlier landscapes survive. The chief historical feature of the grounds is the walk extending from the North Door and its flanking flower beds, which might well date to the late eighteenth or early nineteenth century. There is the strong likelihood that the eastern portion of the North Lawn contained an early formal flower garden, that survived in some condition late enough to be recorded in photographs. The two ancient heritage apple trees in the same area are reminders that even in Commodore Loring’s day, the property was known for its orchards. The casual, open appearance of the present day grounds is very likely not far different from what we might have seen here in the very early years of the Greenough occupancy. 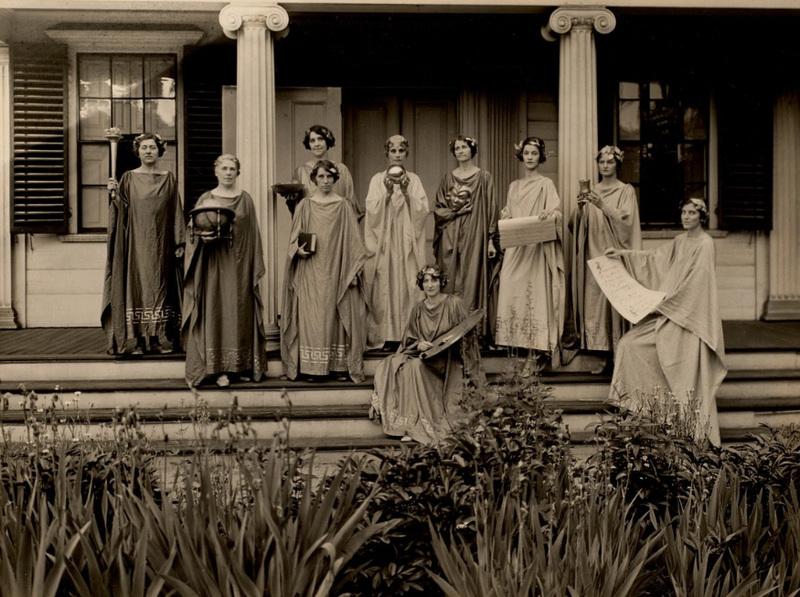 In 1924, the House took on a new and different life. Threatened with certain demolition when the then head of the Greenough dynasty decided to sell the family home, the House was saved by the resolute action of the Jamaica Plain Tuesday Club. 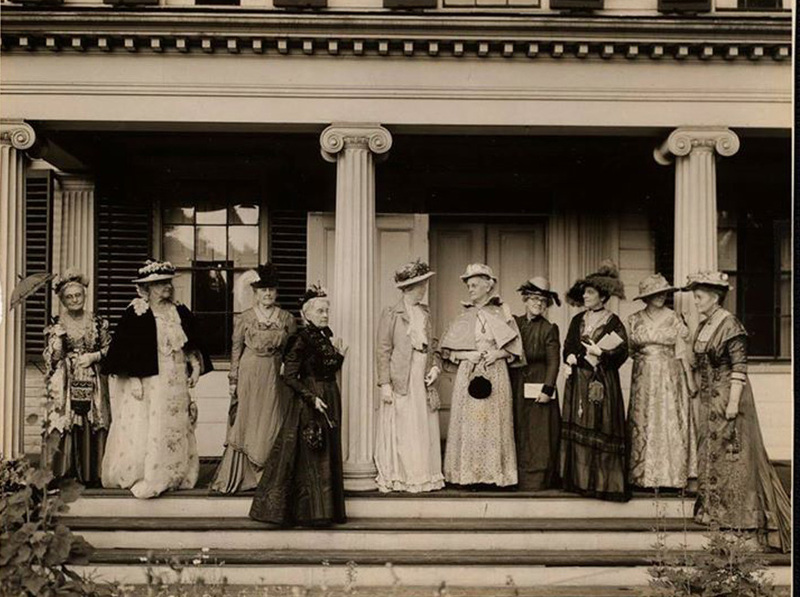 The members, all women in those days, were following the pious example of earlier ladies’ associations, which had saved and begun to restore such historic sites as Mount Vernon and Monticello. Historic preservation was a simple and immediate act, saving what there was and doing your best to restore the site to something approximating its original condition. The Club has done just that. Over the decades of its responsibility, the Tuesday Club has investigated many aspects of the buildings and its fragmented history. Authoritative research of various kinds has expanded and enriched our knowledge about the residence. Bits of its physical history have come to light, both as a structure and as a home. Maintenance is a constant effort and accounts for the continuing accessibility of the building itself. In order to undertake interpretative programs, the Club has sought and obtained artifacts appropriate to the site. The collections of furniture, ceramics and clothing provide the visitor a greater understanding of the life that the House sheltered. The basic wish to save this House for public enjoyment and education led to the development of appropriate programs, open to all. More subtly, the tenure of the Club has reflected the changes that have taken place in historic preservation itself. Now a complex intellectual discipline, preservation has access to technologies that unveil more and more of the past, yet at the same time has goals and standards that are increasingly onerous and demanding. The Club has taken up the challenge posed by this new mode of caring for the past and, like the House itself, the Club and its mission continue to evolve from within an organic pattern of renewal and enrichment.